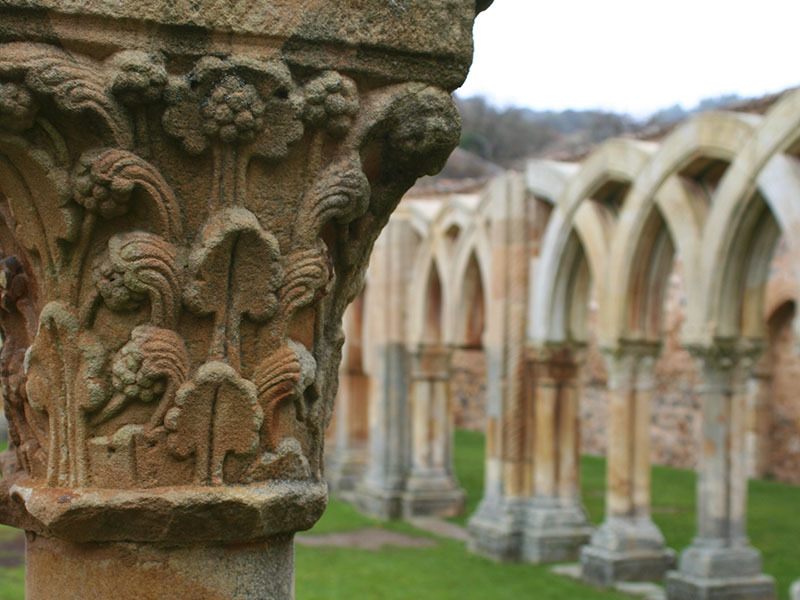 Sandstones brought from the quarries of Valonsadero became hewers in the hands of experts rich cloisters and splendid capitals decorated covers. 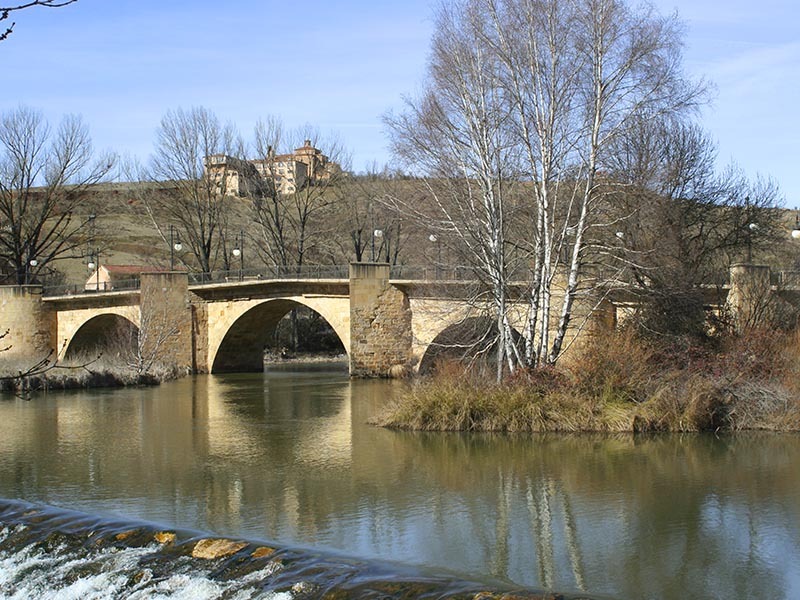 Next to a ford in the Duero River, strategic step towards the neighboring Kingdom of Aragon, and in the valley they formed two (now known as the Castle and Miron) fronteros hills, began to be born a city repopulated with people from Castilla, Navarra and Aragon. 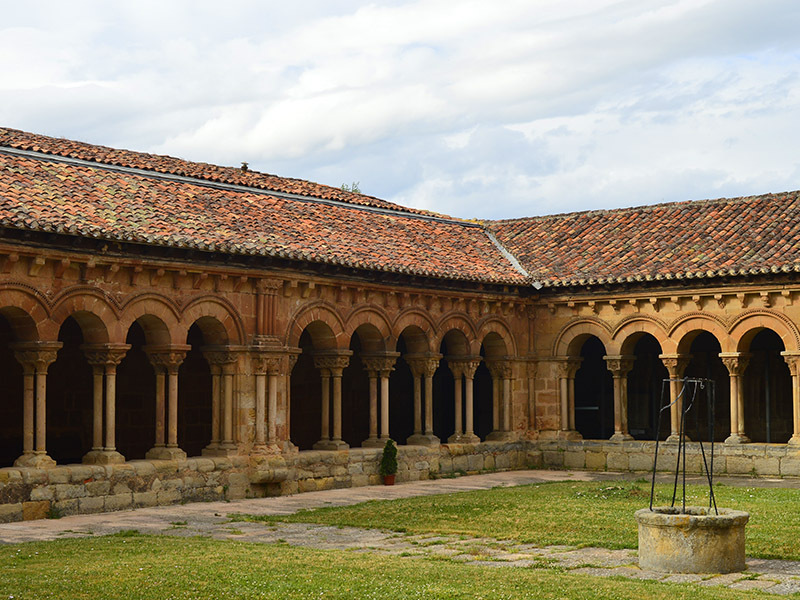 Both sides raised numerous temples and monasteries in the architectural style of the period, Romanesque. 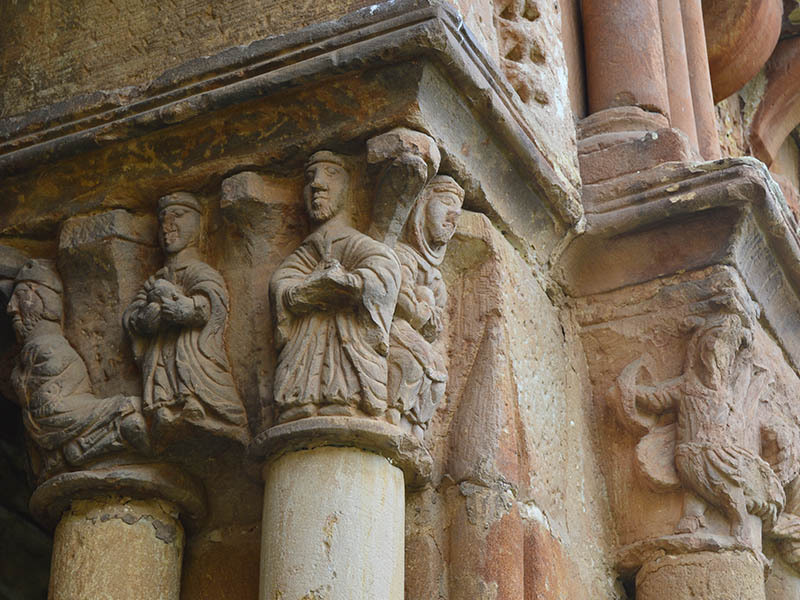 Witnesses of that time have left us a few buildings examples of late Romanesque, of which stands out for its decorative splendor the temple with which we began our walk, the church of Santo Domingo (1), or Santo Tomé, as it is known then. Its builders, capture influences from France, probably by the patronage of Queen Dª. 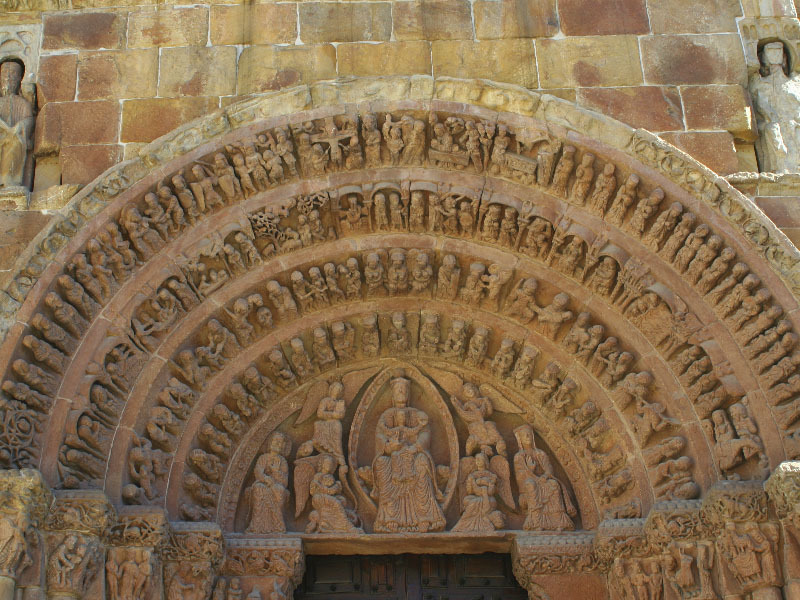 Leonor de Plangenet, wife of Alfonso VIII, reflected in the monumental façade which highlights two openings, the upper rose window that displays a fabulous bestiary around and the gateway, which flared cover is aptly named by many as the "Bible in stone". 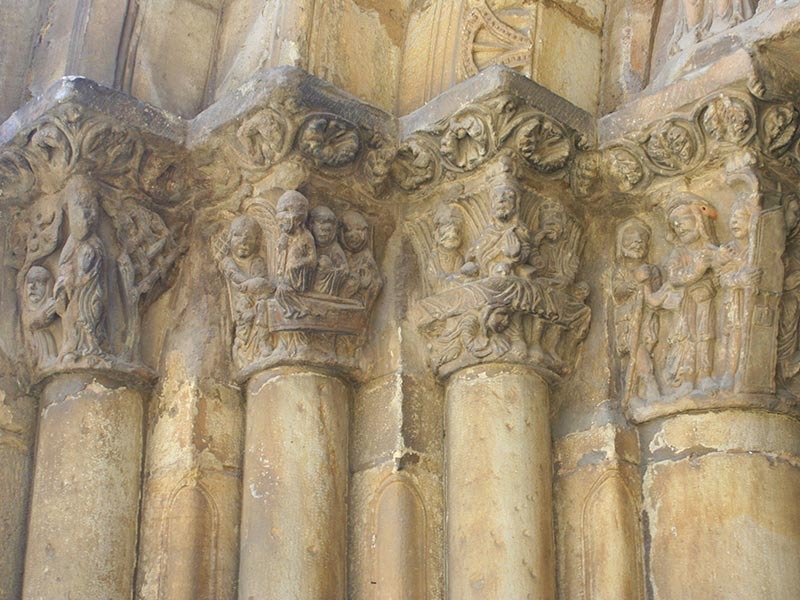 The capitals of the jambs, its tympanum and four archivolts developed with great skill much of the Old and New Testaments. 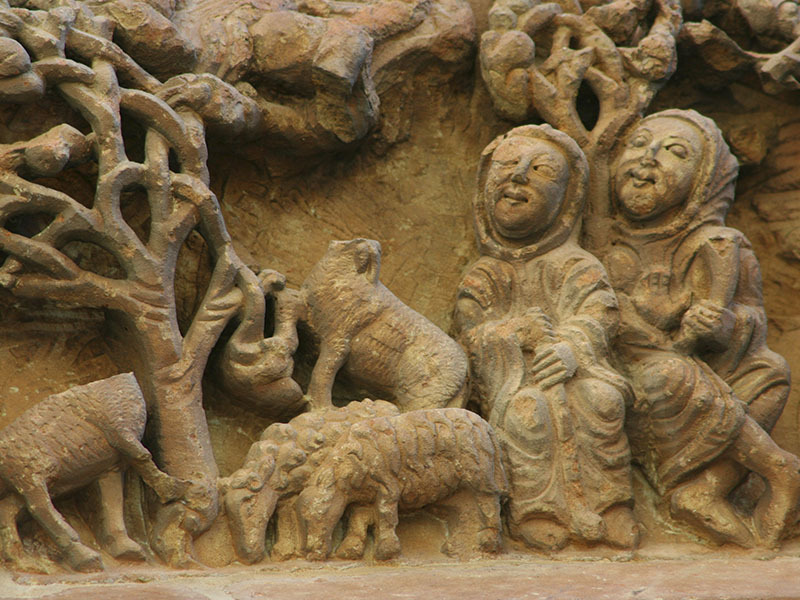 Come and employs a few minutes to contemplate the annunciation to the shepherds, the dream of the Magi or the Kiss of Judas. 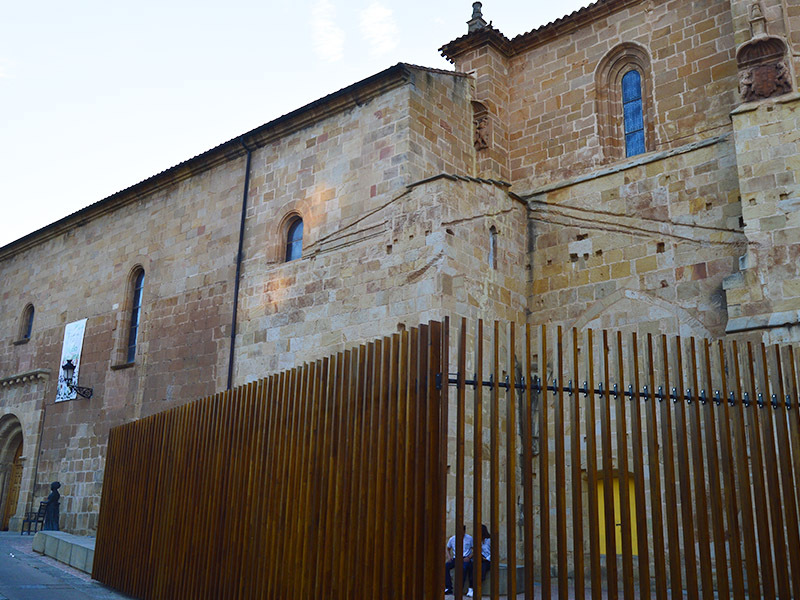 Not far away are the Church of San Juan de Rabanera (2), another medieval church, whose Romanesque inbred lines are shown with special beauty in her slender apse. This is a more orthodox temple in its conception, with excellent exterior factory and a well-preserved interior that houses two interesting Christs. 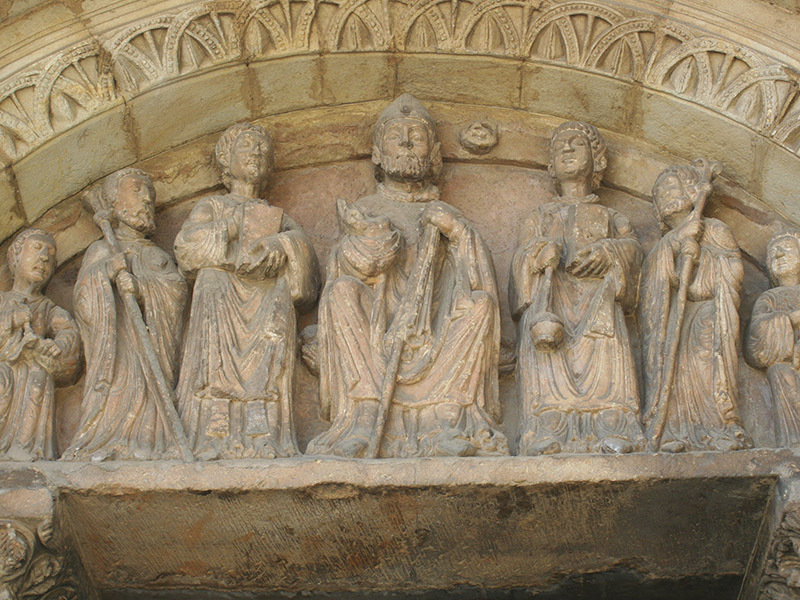 A few meters away, in the Plaza Mayor of the city you are the church of La Mayor (3), which was built on the Romanesque church of San Gil S. XII, of which the cover is retained. 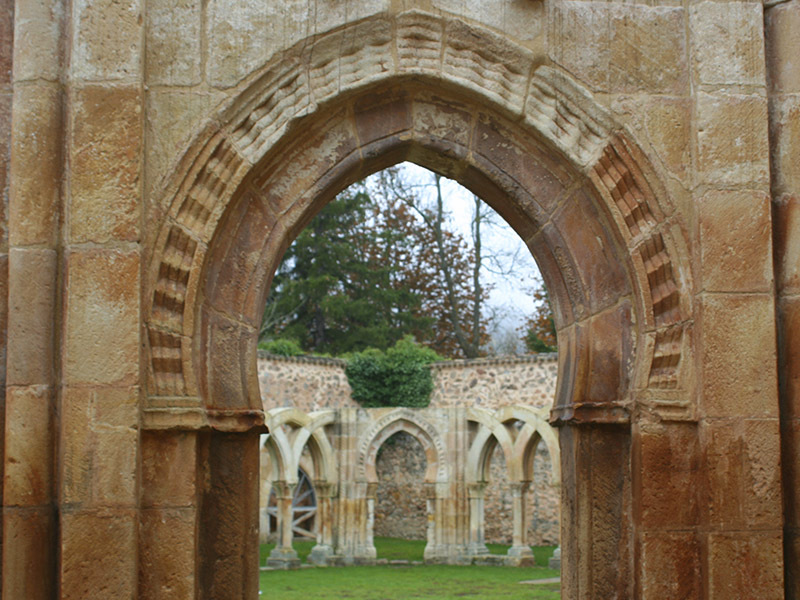 Towards the river, in the heart of Old Town, has survived to this day in the form of Romanesque ruins St. Nicolas (4), remains of what was an elegant church. You can see the apse, the start of the tower and frescoes concerning the murder of Tomas of Canterbury. The cover and have seen if you've gone through the former temple of San Juan, it is his current post, moved there in the early twentieth century. 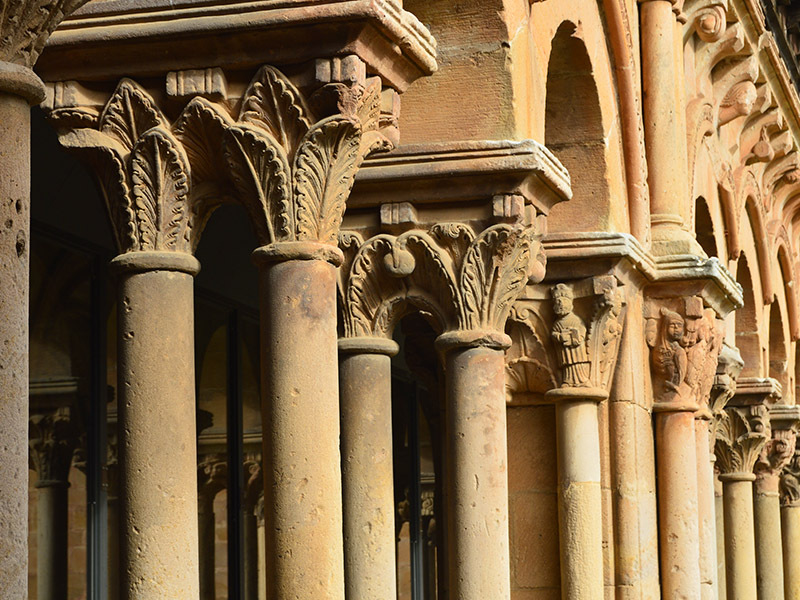 Near the Duero, the Cathedral of San Pedro (5), Gothic style, built on which was a monumental Romanesque collegiate church of which we have a beautiful cloister of the Romanesque style in the purest silense. 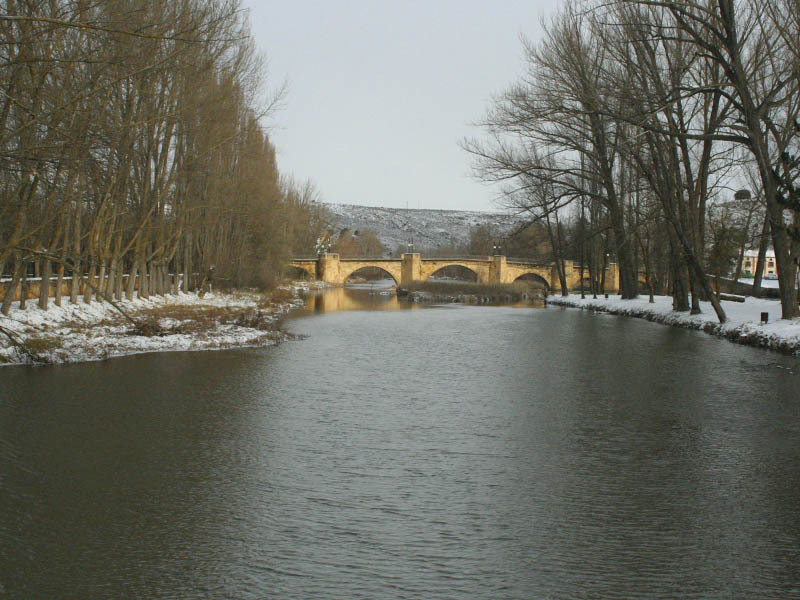 Crossing the Medieval Bridge (6), of medieval origin found on the other side of the river which was the monastery of San Juan de Duero (7). 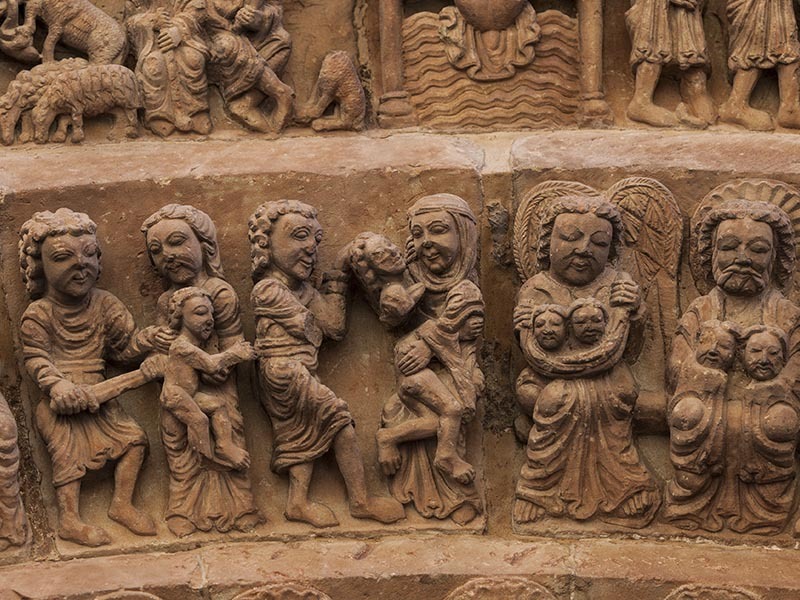 Hospital monks who founded it, from the Holy Land, made a syncretic boast artistic styles of the time, displaying arches, pointed, blotters, intertwined, califales ... 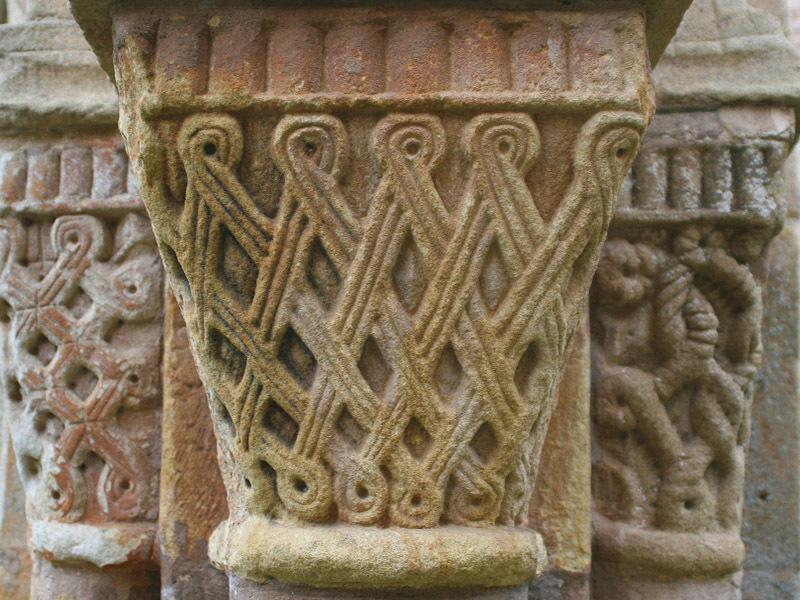 Some authors assimilate this architecture to music, like a staff were stony. Don´t forget to enter the temple, which stand out in the only simple ship two gazebos with strong oriental influences. Get closer to the capital in which the birth of Jesus is told. We end this tour very near, in San Polo (8) enclave where Templar warriors monks decided to settle, according to tradition, which has inspired many writers since then, especially Becquer, who stands here your romantic legend "the Moonbeam" as also locate behind San Juan de Duero its Templar legend of the "Monte de las Animas". 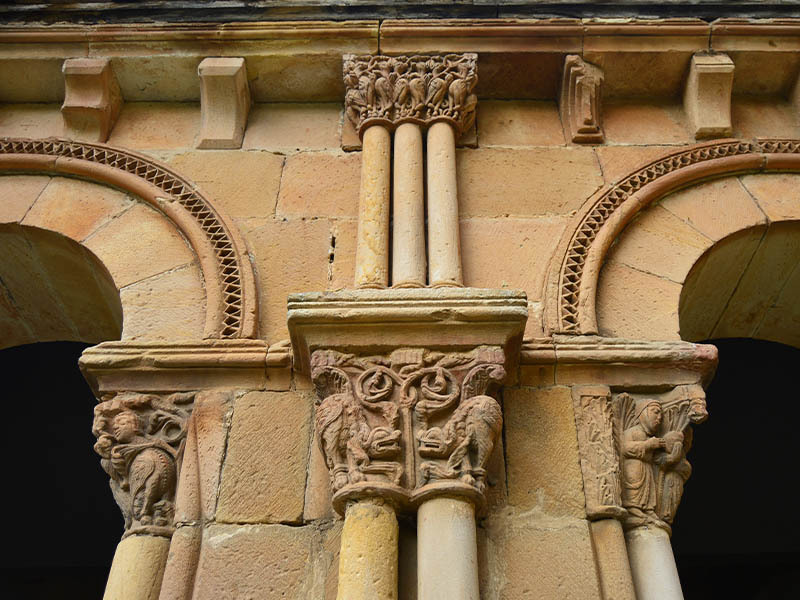 Also deserve mention the apse and presbytery of the Church of the Savior, typical of rural Romanesque S. XII and the apse of the Romanesque church in El Miron. The Church of the Savior is interesting because it is a good example of what would be most 36 Romanesque churches that had the city and mostly missing, while the old Romanesque church of Miron the sacristy is preserved, corresponding apse Romanesque reformed in the fifteenth century.